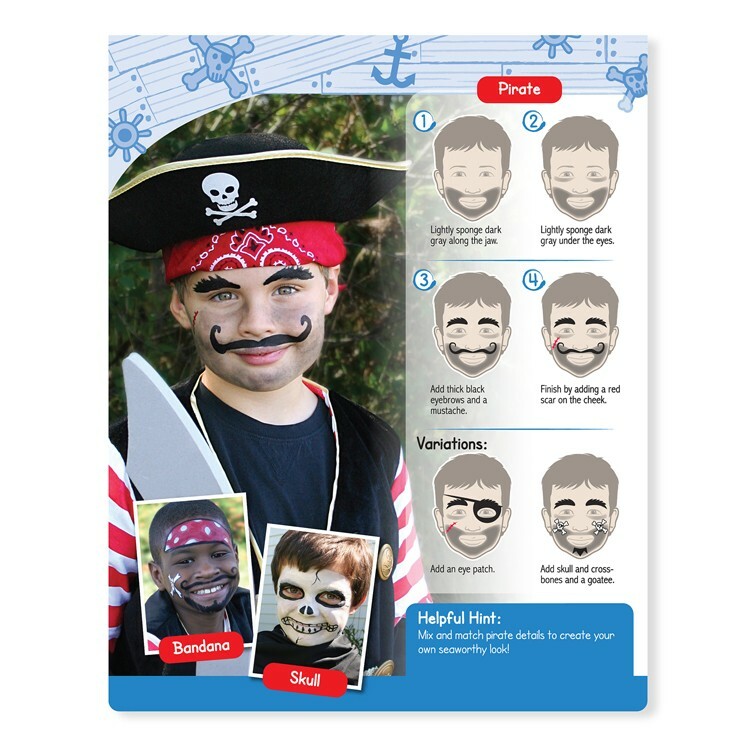 Have creative fun making your own face painting with the Face Painting craft activity set by Melissa & Doug at your next birthday or school party! 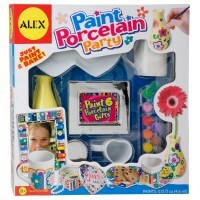 Let's have a face painting party! Face Painting On the Go Craft Kit by Melissa & Doug allows children to create their own face painting designs and implement the craziest face painting ideas! 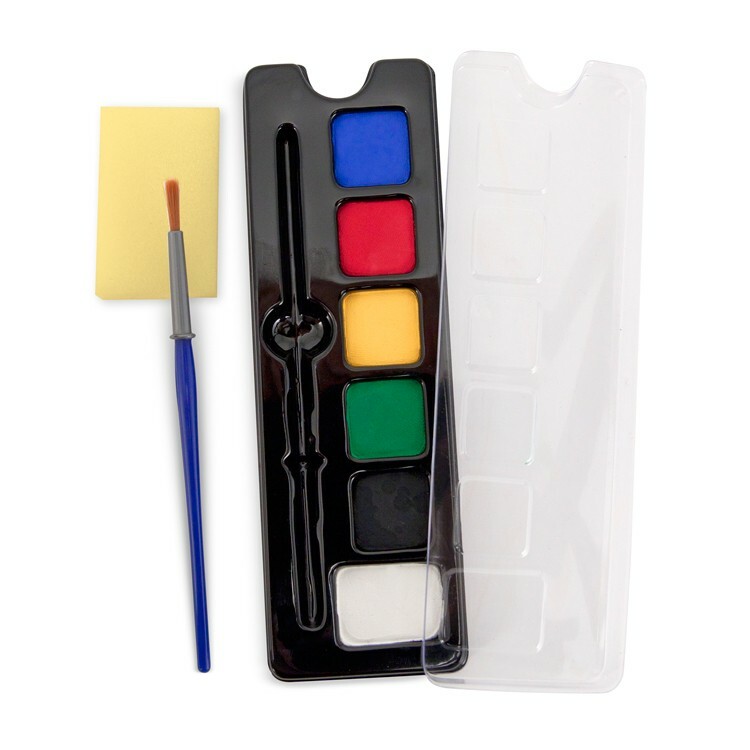 This kids face painting set features an illustrated booklet, 6 colors kids-safe washable face paint, a brush, a sponge, and a mixing tray. 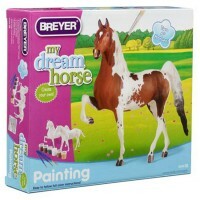 Go wild and paint an animal face! 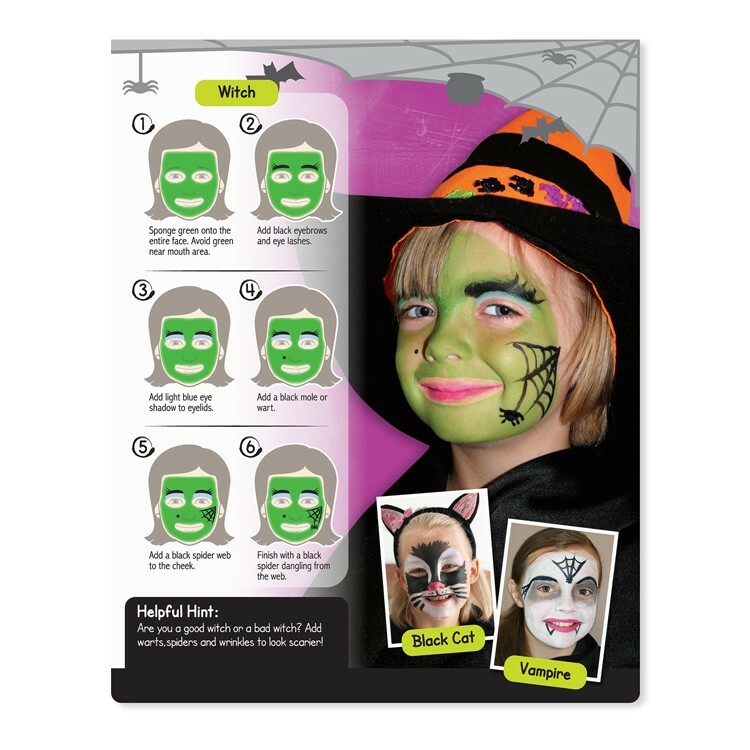 Become a monster with some Halloween face painting design! 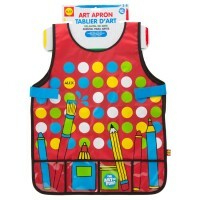 Look cute as a friendly fairy tale creature! 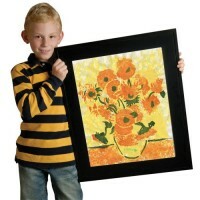 Or do a smaller hand painting, like a flower or rainbow, for your siblings or friends. 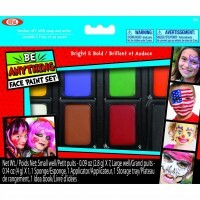 Design your own face painting crafts or use 35 different ideas from the this travel sized kit. 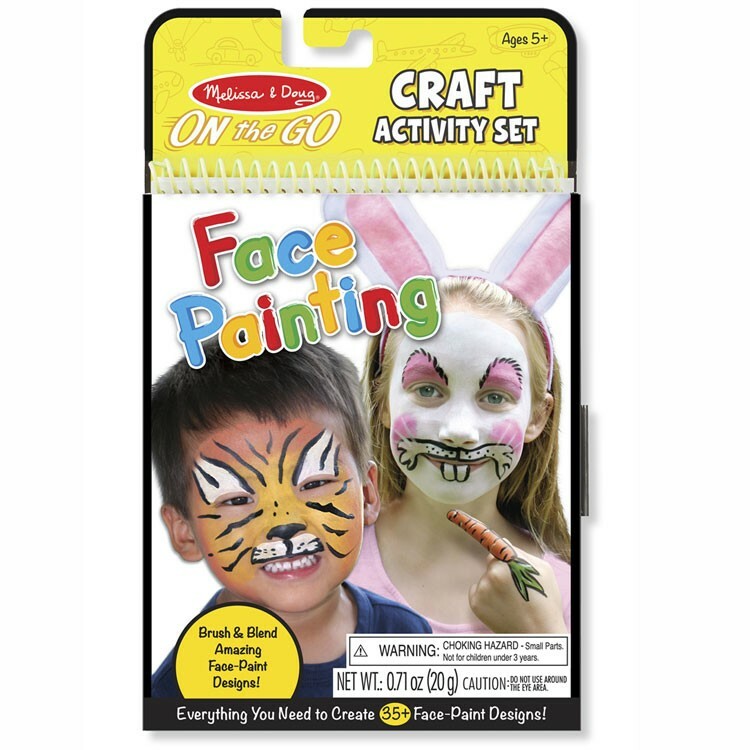 The Face Painting On the Go Craft Kit is a great kids party activity idea, or a creative party favor. 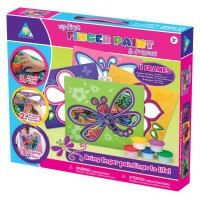 And no matter how perfect your face painting will look like, Educational Toys Planet guarantees creative fun with this face painting craft & create set for kids. 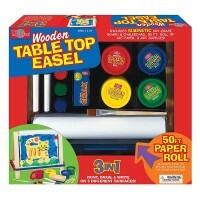 Dimensions of package 6" x 0.4" x 10"
Write your own review of Face Painting On the Go Craft Kit. 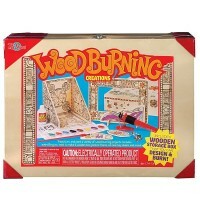 Rating: 5 Cute and Fun by Jessica G If you have a kid or kids who love to dress up, play pretend or who is super creative then this is a great craft kit. 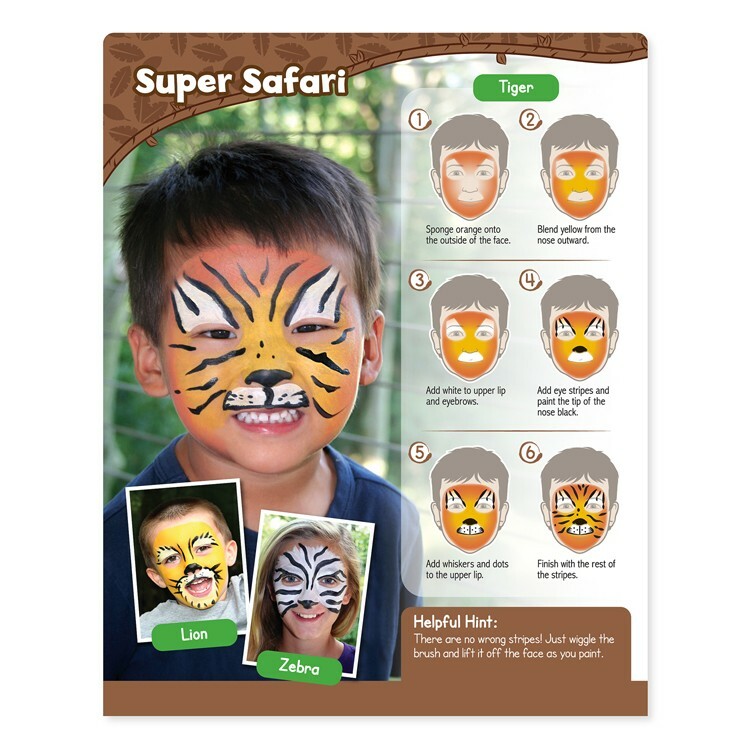 The book helps to teach how to make specific animal faces and designs or your child can get creative and go crazy. 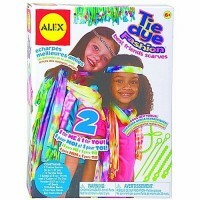 This is also ideal for Halloween or for a party activity. 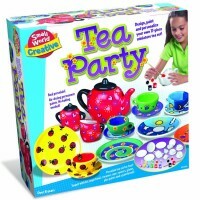 Kids love nothing more than face painting and this would be a hit at any birthday party!